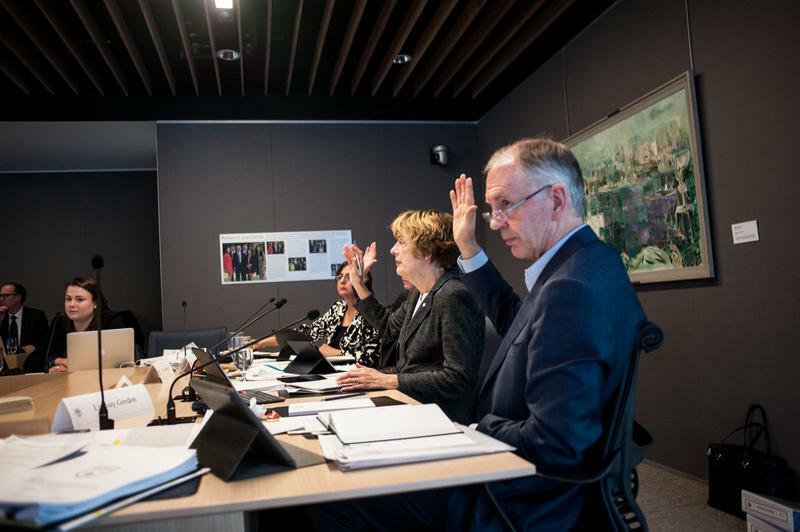 The UBC Board of Governors’ ongoing crisis is not letting up any time soon. The Faculty Association’s passage of a no confidence motion is the latest in a string of challenges the board faced this year due to criticisms over its lack of transparency and questionable governing practices. The Ubyssey sat down with Stuart Belkin, the board’s new provincially-appointed chair, to get his view on the troubled governing body’s governance issues. The main takeaway? He lays the blame for the issues of the last eight months — a president resigning, secret meetings and accusations of infringement on academic freedom, to name a few — at the feet of the governors in charge at the time. He points to the historical success of the bicameral system of governance — a senate that deals with academic affairs and a board which is in charge of fiduciary matters — as evidence that the issues were personality-based, not inherent in the system. “I would expect to see some style changes that are just naturally going to occur when you change the people,” he continued, speaking highly about the new board members and the potential they bring — notably student representative Aaron Bailey. “He’s clearly charged up, clearly motivated and engaged,” said Belkin. The emphasis on new board members prompted questions on how older board members would be transitioned into the new process. His own leadership style, he says, is focused on facilitating discussion between members of the board, as well as what many would call an overdue emphasis on transparency. I would expect to see some style changes that are just naturally going to occur when you change the people. He also reiterated a commitment to take a more critical look at items discussed in closed sessions of committee meetings, citing a recent example of which buildings needed a seismic upgrade — a discussion which happened in camera. The amount of work that happens in closed session has been widely criticized in the past. “There’s an opportunity to do more of the board’s work [in open], but again, I’m not going to be critical of the past practices, I’m just going to say that’s a little bit of my style. I would say, ‘Why not do it in public session?’” said Belkin. In the long term, his goal as chair is to ensure a process to solidify the diversity of board members at UBC. “There are some skills that naturally come with the elected community and there are some skills that, like it or not, come from a community where people have had administrative experience or financial experience and some other things that some elements of the university might downplay as important but they’re only [an important] piece of the puzzle,” he explained. He also decried the negative connotation with having business people on board, explaining that they have abilities others don’t — such as knowledge of financial matters or how to do a performance review. Overall, Belkin says he is looking forward to hearing the concerns of the Faculty Association next week and working with them to better the university. He’s also positive about the future of the board and UBC in general. “It’s easy to be critical when you’ve hit a pothole but it’s important to … take stock of what’s surrounds us and realize what’s been created in a hundred years, the people that created it and how they did it,” he said.